We Create Your decorative dreams and bring your events to life. 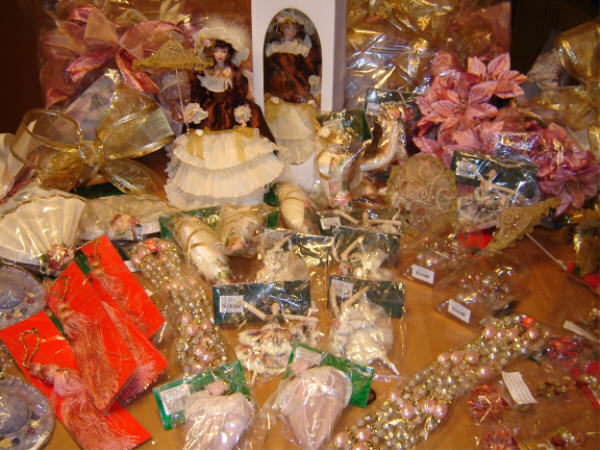 Buy Christmas Ornaments figurines and decorations. Make All Your Wishes Come True. Choose from our Christmas Collection. Items are limited and subject to availability. Please inquire about the availability of any item that you would like to purchase and we will let you know within 24 hours if it is still in stock. The earlier you purchase a desired item, the more likely it is that it will be in stock. The closer it gets to the holidays, the less likely it is that these particular select items will be in stock. You will be able to pay via Paypal.com or 2Checkout.com, using a credit or debit card. If you let us know you want to place an order on an item that we have verified is in stock, we will send you a request for payment. Shipping will be added or included in the total price as indicated. Some items are sold in bulk packages of more that 1 item. The shipping price will be nonrefundable if items are returned. Ordering more than one item will decrease the shipping cost and the total price. Please do not hesitate to contact us with your choices. You may now purchase the ornaments, bows, ribbons, flowers, and other decorations for the following themes based on availability. Please contact us and we will let you know if the packages are still available. Each package would include a wide variety of assorted high quality decorations, similar to the ones pictured on the trees shown on our web page. We only use the best, and that is what you can expect to receive. To top it all off we custom make your big beautiful bows for you, and all you have to do is place them on your tree. Remember the taller the tree is the more coverage you would need. The package for a 6 foot tree is twice the cost of that of a 3ft tree. 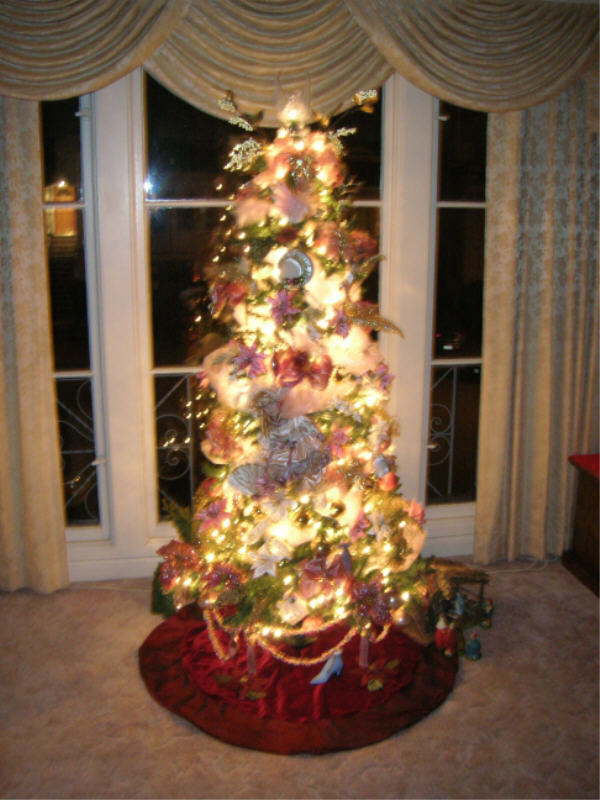 The average cost of decorations for a 6ft tree is approximately $425.00. Sheer Fabric such as Voile or Gold Mesh and special lights and light covers are not included and may be added for another $150.00. Shipping is additionally $35 per package within the continental USA. THIS OFFER IS FOR DECORATIONS AND ORNAMENTS ONLY. CHRISTMAS TREE NOT INCLUDED. Precious ornaments or decorations will be an additional cost. 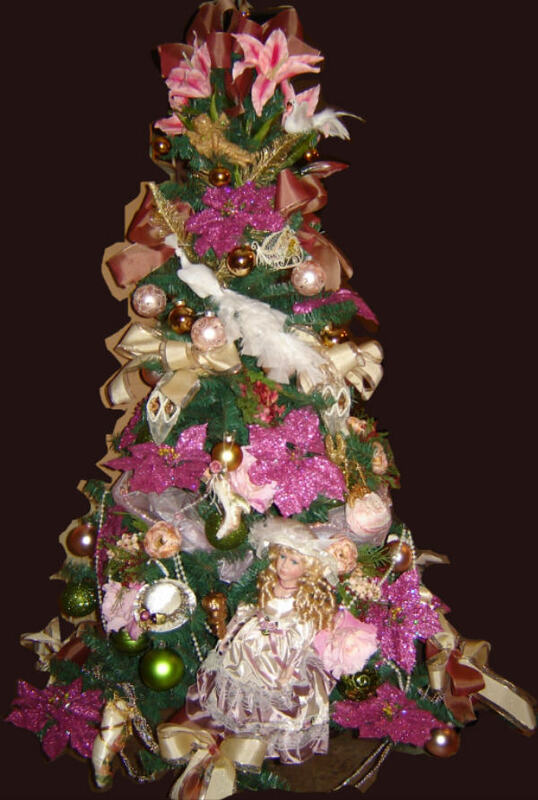 An example of a precious ornament is a crowning Peacock Topper or certain Ballerina ornaments and Victorian Dolls. Please inquire about the cost of adding one of these to your package of ornaments. Prices do not include shipping of $35.00 - $55 ground shipping by Fedex or UPS 5 to 7 days in transit, each package depending on the destination. If rush shipping is desired please contact us. Rush shipping is usually around $150.00 to $160.00 overnight. These timelines are the travel/shipping time and do not include the time necessary for preparation of the order. That is usually 7-10 days depending on the availability of some of these unique decorations. Please inquire about your particular theme. Once shipped items are non-refundable. Packages are insured for shipping purposes. The height of the tree you would like to decorate. The date that you would like to have it delivered to you. The location it is to be shipped to. Optionally, you can let us know how much your limit is to spend on the decorations. AND Would you like a WREATH with that Christmas Tree Ornament Order?